It's not surprising that many people would like to make more at their job -- money makes the world go round, after all, and people like to be fairly compensated for their work. However, if you've ever wondered exactly how many Canadians are seeking a bigger salary, it might be a lot more than you think. Following a recent survery of 1,000 Canadian workers, Indeed.ca reports that the majority of the workers in the country aren't happy with their current salary. "Only 13% of workers in Canada say they are satisfied with their current salary - down 4% since last year, demonstrating that salary satisfaction is steadily declining," the report says. Nearly 9 in 10 people said they'd like to earn more to afford the increasing cost of living comfortably in Canada -- wanting, on average, an additional $11,430 to do so. 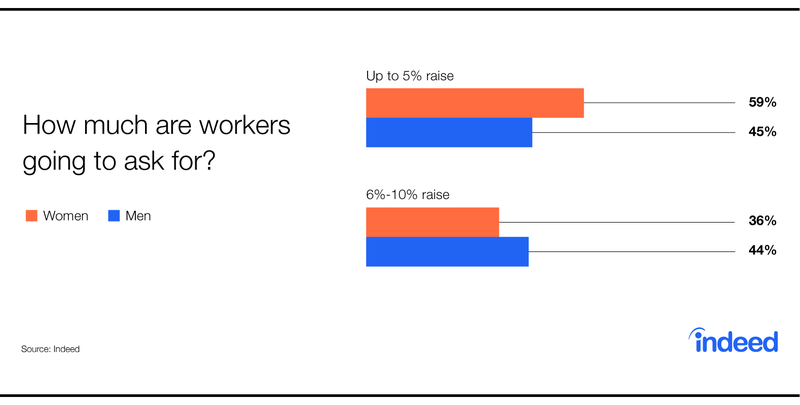 Due to this increasing discontentedness, it's no surprise that 53% of workers are considering asking for a raise in 2019, including 58% of millennials. However, men are a little more likely to ask for a raise than women, with 24% of male respondents saying they'll definitely be asking for a pay raise this year compared to 20% of female respondents. "Men are also likelier to ask for more - 44% of male respondents are planning to ask for a 6% to 10% increase compared to approximately 36% of female respondents. Instead, women are more likely to be conservative in their demands, with more than half (59%) requesting for a raise of up to 5%," according to the report. Respondents, on average, last received a pay increase between one to two years ago. "However, 14% of respondents state they’ve never seen a pay change. So while wages are in fact going up, they’re not increasing at the desired rate." Of course, asking for a pay increase won't always get you it. 59% of respondents say that they’ve been refused in the past because there was no room in the budget, 10% say they were refused after their employer said they hadn’t worked there long enough, and 20% of respondents say no reason was given. The survey was conducted among 1,000 randomly selected employed respondents in Canada between January 8 and January 16, 2019. To see the full report and tips on how to handle conversations regarding pay increases, click here.